We want to highlight the work of members of the Green Drinks community! There are so many innovative, interesting and talented people that attend Green Drinks (in fact, all of you are), so we wanted to take the opportunity to highlight some of you on our blog. If you’d like to be highlighted in future posts, don’t hesitate to contact us! We’d love to help you tell your story. For Alix Davidson, director of this weekend’s Green Festival at the Javits Center, it was the big whale at the Museum of Natural History in Manhattan that solidified a life long interest in green issues. A Manhattan native, Alix spent a lot of time at both the Museum of Natural History and the shores of Long Island. This led her to study foresting at Washington State where she focused on foresting and community activism. It was through her studies and work on National Audubon Society’s forest campaign that Alix forged the connection between green activism and social justice. This work led Davidson toGreen America, an organization working “to create a socially just and environmentally sustainable society.” It was a natural fit. The first ever Green Festival was held 11 years ago in San Francisco. 8 years ago, the Green Festival made its Washington DC. This weekend, the Green Festival comes to New York City. With success in Chicago, San Francisco and Washington DC, it’s only natural that the Green Festival would come to New York City. The secret to the Green Festival’s success? The exhibitors. They have truly transformed the festival into a “buzzing hive of green innovation,” says Davidson. With over the 5000 attendees and 300 booths, New Yorkers will truly feel inspired by the size of the green community that will be celebrated at the Green Festival this weekend. By attending the Green Festival, New Yorkers will gain a better sense of the sheer volume of the “consumer-oriented green companies” that are out there doing great things. Planning on attending this weekend’s Green Festival? Don’t miss the good food stage, says Davidson. There will be sushi, strawberry salsa, and cooking demos. There will also be fair trade coffee and chocolate! If you’re thirsty, be sure to stop by the organic beer and wine garden. T.H.R.E.A.D.S. will also be holding a fashion show. But the most important thing to do this weekend at the Green Festival? Have fun, says Davidson. And bring a friend! 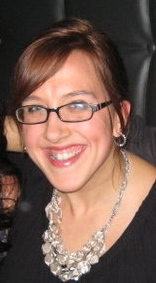 Guest Blogger Sonja Whipp is a freelance writer with an interest in green issues. When not writing or incessantly tweeting, Sonja enjoys exploring the City in search of great restaurants and exciting people. Find her on Twitter @SJWhipp and on her blog Ramblings. Meet Gia Machlin, founder of EcoPlum, the green shopping rewards site for eco friendly products and green living ideas that makes it fun, easy and rewarding to go green – in style! Gia and the EcoPlum crew have been attending Green Drinks almost every month since March 2009. According to Gia, “It has been a wonderful experience – we have met so many like minded people and grown our green network exponentially. It’s always a lot of fun too!” Great to hear! EcoPlum is a green shopping rewards site. Tell us more about how that works. EcoPlum’s online boutique carries unique green products including eco friendly clothing, green accessories, handmade jewelry, safe cosmetics and skincare, and other specially curated items. These products are carefully selected from vendors who earn third party sustainability certification, carry notable eco-labels, or make products primarily from recycled materials. EcoPlum shoppers earn EcoChipz rewards points with every purchase, good for coupons in its shop or donations to environmental causes. A trusted source for information on how to be green, EcoPlum has a wide array of original content, green listings, and an engaged community. EcoPlum aims to foster environmental stewardship by informing and empowering consumers to make responsible choices. EcoPlum, Where it Pays to Buy Green. What was your inspiration for creating EcoPlum? One day I was thinking about how to motivate people to be more environmentally conscious. It frustrated me that more people did not reduce consumption, recycle when possible and purchase eco friendly products made of reused materials. It occurred to me if people were rewarded for eco friendly behavior, they would be likely to engage in it. There should be some kind of rewards program for going green that would give people incentive to be more environmentally friendly. At the time, there were no such rewards programs out there for purchasing green products, so that was the genesis of EcoPlum, Where it Pays to Buy Green. Anything else you’d like to share with the green community? Thanks, Gia, for taking the time to talk to us about EcoPlum. We look forward to seeing all of you at our next event! Thanks Sonja for the great write up – and thanks Margaret for all you do at Green Drinks NYC! !